Good tip! In Brazilian Portuguese, we say abacaxi. It think its just Europeans that use "ananas," we Latin Americans (or Mexicans at least) use "piña." My people in Puerto Rico also use "piña". Okay, guys. You are right about Spanish. 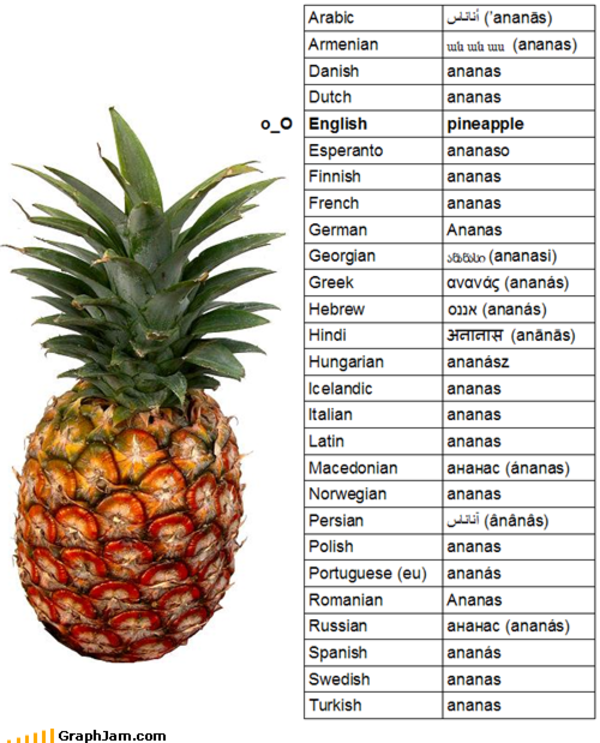 It seems that among in Europe and around it, only Spanish and English languages use other words other than "ananas". Just look at this image.